I wrote a letter dated 8th February 2012 with reference no. OMU/BJMT/004/2012 to the Clerk of The Parliament of United Republic of Tanzania requesting amendment to be made in the third schedule of the Parliamentary Standing Orders (The East African Legislative Assembly Election Rules). I made those proposals commensurate with the requirement of sections 3(3)(a) and (b) of the eighth schedule made under standing order 115 of the Parliamentary Standing Orders (2007 Edition). I requested the Clerk to recall what transpired in the Election of East African Legislative Assembly that was conducted in the Parliament of the United Republic of Tanzania on the 2nd of November 2006. In that particular election complains arose and were raised that indicated the need for amendment of the East African Legislative Assembly Election Rules of the Parliament of the United Republic of Tanzania. I also drew to the attention of the Clerk that The East African Assembly had passed the EALA elections Act of 2011. In that context, I recommended Parliamentary Standing Committee on rules to utilize powers vested on it by third schedule 3(a) to discuss and propose amendments to be made. I further expressed my intention to submit proposals for amendment and requested to be provided with procedures and program of the EALA Election. I appealed for Clerk to consider my recommendations and requests urgently as elections of the EALA members had resumed in some other member states and there have been conflicts/contradictions. I informed the Clerk that such conflicts have in some cases resulted into court objections regarding the electoral process and I cited the example of the Ruling of the Court dated 30th November 2011 of Application no. 6 of 2001 in the East African Court of Justice. In March 2012 I received a letter dated 9th February 2012 with reference number CA/155/232/01/57 requiring me to submit my proposals for the amendment; I submitted the respective proposals on 28th March 2012 with reference number OMU/BJMT/005/2012. In Section 11 sub section 3: Add “Group E: Youth Candidates”. On February 2012 through another letter with reference number OMU/BJMT/007/2012 I submitted to The Clerk of The Parliament of the United Republic of Tanzania further proposals for immediate amendment of the East African Elections Rules. I emphasized that the EALA Elections Rules were made on the basis of Standing Order No. 12 and Article 50 of the treaty for the Establishment of the East African Community. “Uchaguzi wa Wabunge wanaokwenda katika vyombo vingine ambavyo kwa mujibu wa Sheria zilizounda vyombo hivyo vinatakiwa viwe na wawakilishi wa Bunge na uchaguzi wa kuwachagua Wabunge wa bunge la Afrika Mashariki utafanywa kwa kuzingatia, kwa kadri iwezekanavyo,uwiano wa idadi ya Wabunge wa Vyama mbalimbali vya Siasa vinawakilishwa Bungeni, uwakilishaji wa jinsia na uwakilishaji wa pande zote mbili za Muungano”. Uwiano wa idadi ya wabunge wa vyama mbali mbali vya siasa vinavyowakilishwa bungeni”. I underscored that the plain and natural meaning of these words is that each political party is entitled to have a representation in the EALA which is equivalent to the percentage of its members in the National Assembly. In other words, CCM is entitled to sponsor 74% of the total 9 EALA members which translates into 6.66% representatives. 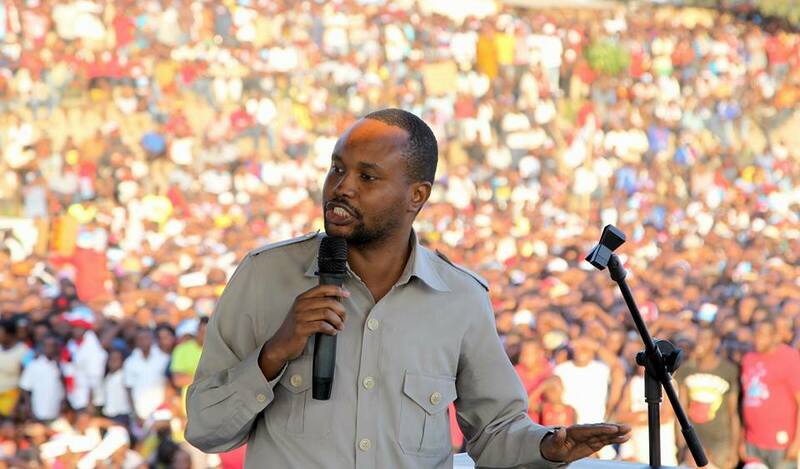 CHADEMA’S 14%, translates into 1.26% of the 9 members and CUF which has 10% is entitled to 0.9% of the 9 members. However, we all know that human beings cannot be split into portions; as such CCM’S 6.66% will be rounded up to 7 members, CHADEMA ‘S 1.26% will mean that it gets one member and CUF’S 0.9% will give it one member. The other parties which have far less than 1% of representation in the National Assembly are not entitled to sponsor candidates for election to EALA. However the extract of rules of procedures for nomination of candidates for the election of members of the East African Legislative Assembly provided 6(2) from Standing Order Schedule 3 Section 5(5) “Any political party which is entitled to sponsor candidates, except for the ruling party which will not submit names of candidates for group C, may submit to the Returning Officer names of three candidates for each vacant seat…”. The second limb of Standing Order 12 which dealt with the taking into account of gender and people from the other side of the Union, I explained in my opinion that did not apply to CHADEMA and CUF because the two parties are only entitled to sponsor one candidate each. As for CCM which, as we said is entitled to sponsor 7 candidates, it was to take into account both gender and representation of both sides of the Union in its nomination of the seven candidates. Consequently I proposed relevant amendment needs to be done and also the returning officer is supposed before nomination to indicate party’s that are entitled and for which groups. accompanied by the relevant information or documents. simply return the papers to the candidate. Having realized that The Clerk was continuing with the electoral process as the Returning Officer without the requisite amendments I decided to make the matter public by issuing a press release on 8th April 2012 calling for response. Also appealed to stakeholders to push for amendments before the nomination of candidates that was scheduled to be made on 10th April 2012 and the elections that was planned to be conducted on 17th April 2012. The Returning Officer (The Clerk) nominated the candidates prior to addressing my requests and few days before the Election Day, I was called to make presentation on by proposals for amendment to the Parliamentary Committee on rules. On 16th April 2012, I received a letter from the Clerk of the Parliament of United Republic of Tanzania that after seriously considering my proposed amendments to the East African Legislative Assembly Election Rules (i.e Third Schedule to the Parliamentary Standing Orders 2007 Edition) they were unable to take them on board. They replied that my proposals were not considered because they were contrary to the letter and spirit of Article 50 of the treaty, save for the typographical error which shall be rectified accordingly in future accordance with the established and applicable parliamentary procedure. The East African Legislative Assembly Election Rules are made under Article 50 of the Treaty for the East African Community (EAC Treaty) and Order 12 of the Parliamentary Standing Orders, 2007 Edition. Article 50 of the EAC Treaty is the Grand Norm and enabling provision for part of the provisions of Order 12 of the Parliamentary Standing Orders 2007 Edition, and the East African Legislative Assembly Election Rules, and for that reason, Order 12 and the said Rules ought not to be in conflict with the provisions of that Article. National Assembly procedure for election of the nine members of the East African Legislative Assembly, in the form of election rules which embody the democratic principle of proportional representation, does not reflect the correct object and purpose of Article 50 as intended by the parties to the Treaty by the reason that, representations of various political parties represented in the national Assembly, shades of opinion, gender and other special interest groups are not achieved. The nine elected members have to as much as feasible, be representative of the specified groupings, (i.e. the various political parties represented in the national Assembly, shades of opinion, gender and other special interest groups). The election rules which provide to the effect that, that National Assembly shall elect the nine members of the East African Legislative Assembly “according to the proportional representation of every political party in the National Assembly”, are in partial compliance with Article 50 of the Treaty because, the absence of any provision to carter for gender, shades of opinion and other special interest groups is a significant degree on non-compliance, notwithstanding the discretion of the National Assembly in determining the extent and feasibility of the representation. Rules made for the purpose of implementing provisions of the Treaty cannot be permitted to violate any provision of the Treaty through use of legal fiction. To uphold legal fiction (i.e. importing the democratic principle of proportional representation) would be tantamount to upholding an amendment of Article 50 of the treaty, by one Partner State unilaterally. National Assembly Election Rules which are inconsistent with or in infringement of Article 50 of the Treaty renders them null and void to that extent of their inconsistency. According to the Judgment o the East African Court of Justice, the provisions or Order 12 of the Parliamentary Standing Orders, 2007 which purport to import the principle of “proportional representation” of political parties represented in the National Assembly are null and void to that extent of their inconsistency with Article 50 of the Treaty. On The Election Day 17th April 2012, I raised the matter in Parliament requesting for Speakers Guidance through rule 68 (7) regarding the Rule no. 12 of Parliamentary Standing Order (Edition 2007) that provides for proportionality in the Election of East African Assembly members. I requested for the Speaker to ensure that proportional representation is guaranteed in the elections of the two members representing the opposition. The was also a plea by Hon. David Silinde who apart from calling for the rule of proportional representation be maintained inquired response of the complain and objection letters he submitted on 11th and 15th April 2012. He had objected among other things the nomination of a candidate from a non parliamentary party in the EALA election. However, the Speaker’s decision was commensurate to grounds provided before by The Clerk of The National Assembly. In which case, I deliver this witness statement for this Honorable court to deliberate on whether or not the election of EALA members in Tanzania conformed fully to Article 50 of the treaty. On whether or not, Chama cha Demokrasia na Maendeleo (CHADEMA) the official opposition party deserved to have a seat as per its proportion in The Parliament of United Republic of Tanzania. You made a great follow up, keep us informing the progressiveness!